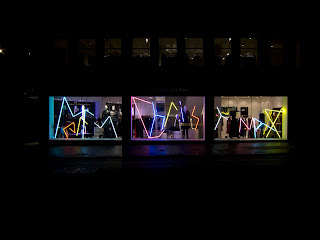 If you haven't seen the latest scheme at Nicole Farhi, do pop down to Conduit st. and take a look. Besides their incredible fairly new site and only the third scheme in these windows, which quite honestly are incredibly difficult to work with, the guys here really have made this space their own. We've been following them for a while now and they just get better and better.